You can research the market and attend open houses on your own, but call in a local real estate agent when you're ready to take your home search to the next level. The growth of online real estate listings meansconsumers are equipped with information very early in the home buying process. A generation ago, to get listing information and access to historical data, home buyers needed to connect with a real estate agent much sooner - sometimes even prematurely. 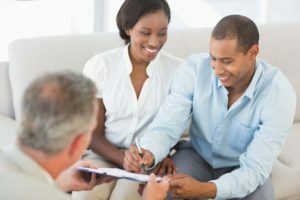 But today's home buyers can do a lot of the legwork themselves, conducting research online and using home search and research applications independently, in addition to attending open houses. Butthis access to informationdoesn't mean home shoppers can entirely go it alone.Buying a homeis a major transaction, and all the data in the world can't replace a knowledgeable and experienced local real estate agent. You think you've found the home of your dreams, and you don't know what to do next. If you've been looking at homes for some time, you likely have a good feel for what you get for the money. You've gone to some open houses and have a few homes or searches saved online. Home shopping has become a hobby. But once you find the home of your dreams, it becomesa part-time job. Independent shoppers get comfortable with the market until their dream home hits them like a ton of bricks. The house is the motivator to take things up a notch. Reaching out to an agent will take you out of the dreaming phase and move you in the direction of actually buying a home. You've found a home that appears too good to be true, but you can't figure out what the problem is. Suppose you stumble upon ahouse that seems like a great deal. It'spriced accurately for the neighborhood, but has been sitting on the market for weeks, if not months. You may have reached out to the listing agent to see the home in person or asked some questions of the agent at the open house. But that agent represents the seller, so you are not sure what the story is. In this case, you don't know what you don't know. That uncertainty, coupled with your curiosity about the home, is the best reason to pair up with a good local agent. They may know the house, its market history or, via their network, have access to information about the home. The housemay have some major structural issues. Or the agent might point out that it is on a less desirable road or in a tough school district. These are the types of things that new, uneducated buyer wouldn't know on their own. You've been hit by a major life or financial event and need hard information to make a decision. Sometimes you getnews thatchanges your life's course. Your landlord is selling yourbuilding, and you have 60 days to vacate. You've received the job opportunity of a lifetime or a huge increase in pay. Or you've done some tax planning and realize you are paying so much in taxes that you need to take advantage of the benefit realized by homeownership. When you need information fast, rather than taking the time to study the market independently, it's easier to go right to the source. In a 30-minute phone call or in-person meeting, a local agent can get you up to speed on the market, pricing, timing and what to expect. You can quickly marry this information with your personal financial situation and start to devise a plan. A generation ago, potential home buyers, curious about getting into the market, had access to little information about homes for sale. They might have checkedthe open house section of the Sunday paper to get started. Or they simply called a local agent and engaged them. They may not have been quite ready to pull the trigger at that point, but they needed an agent to get them in the game, many times well before they were ready to purchase. While that agent is still an integral part of the process, today's buyers can hold off a bit longer - as long as they know when the time is right to enlist help.